Extensive buffet breakfast including a variety of cheese and cured meats, egg specialties, freshly baked breads, warm comfort foods. Delicious fresh fruit, a show cooking station as well as Healthy Breakfast and Local Breakfast options. Quick and easy, our Louis Quick Bites is open between meal hours by the Carob Pool Bar. Daily buffets with seven different themes per week, such as Local, Italian, Asian, Mexican and more. 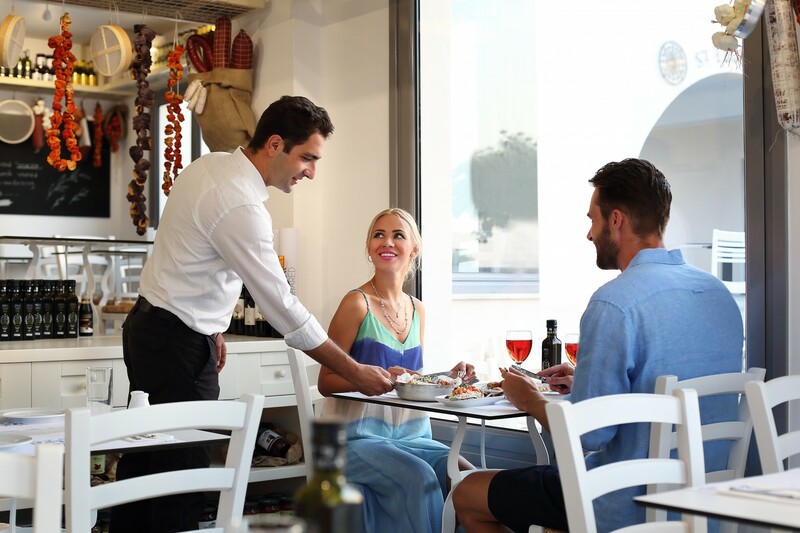 For the ones that want to have something different then they can choose to dine in our Meze by Elliniko and taste the authenticity of Greek cuisine. 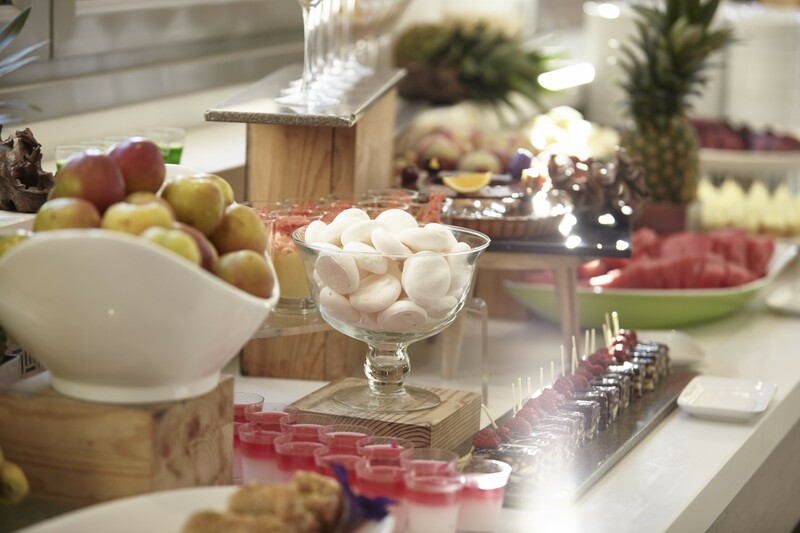 A Yummy Corner for our little friends is located next to the main dinner buffet, serving traditional kids favorites such as fish fingers and nuggets, as well as fresh vegetables. A nice selection of Late Bites such as pop corn, cake and slices of vegetables and dips. International branded alcoholic beverages including draught beer, spirits, wine, liquers and cocktails. Non-alcoholic beverages including soft drinks, juices and water. Hot beverages including coffee, tea, cappuccino, hot chocolate, espresso etc. Breakfast is served at "Lemon Tree" restaurant. Lunch is served at "Lemon Tree" restaurant. Louis Quick Bites is served at "The Carob" pool snack bar. 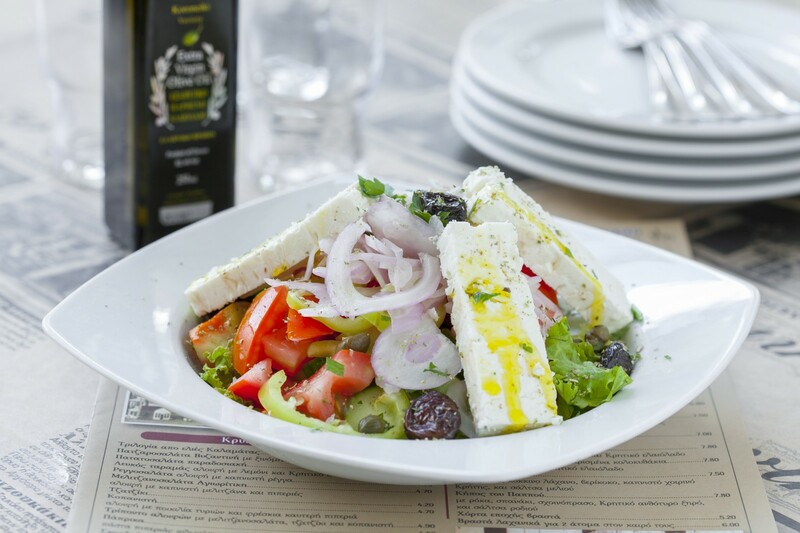 Dinner is served at "Lemon Tree" Restaurant or Restaurant or MEZE BY ELLINIKO theme Taverna. Louis Late Bites are served at "Jacaranda" bar. 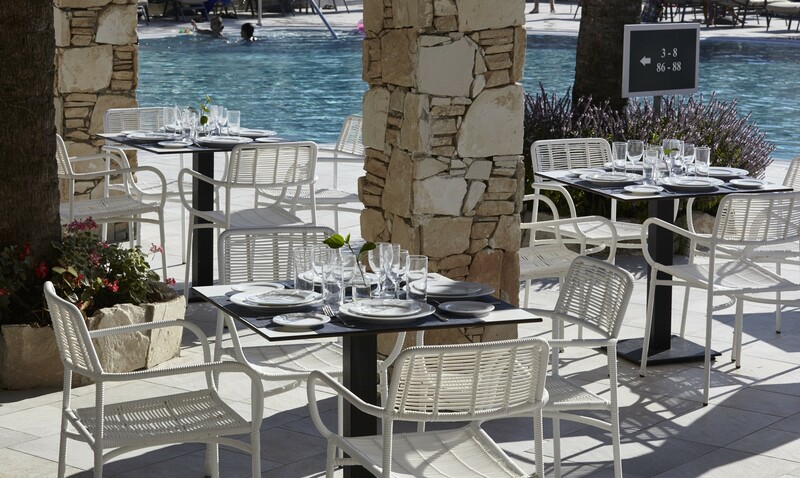 Daytime drinks are served at "JACARANDA" bar & " THE CAROB" pool bar. Evening drinks are served at "JACARANDA" bar & " THE CAROB" pool bar.